The Most Reliable Janitorial Cleaning Service In The Boston Area! Here Why Lots Of Boston's Businesses Prefer To Have Boston Quality Cleaning Services. n the paragraphs below we will show you why you should choose Boston Quality Cleaning Services, Inc. to take care of your commercial proprerty. If you are looking to have your offices, supermarkets, and any other commercial property cleaned and maiteained by professionals that will get the job done according to your needs and specifications, please contact us. How do we differ from other companies? When you hire Boston Quality Cleaning Services, Inc. you are dealing directly with the owner. On the other hand, when you hire a big commercial cleaning company, chances are they will subcontract the work. And once we are the ones getting the job done, we make sure every single detail is taken care of. And... you don't need to pay the middle man (big savings). We recommend you to compare quality and prices and we will always be your wisest choice. The number one concern you should have when selecting a commercial cleaning specialist is quality. Cleaning commercial properties demands time, dedication and commitment to achieve a great result. You can have that with us. You, for sure will have a great feeling when we leave your property and the maitanance is complete. We receive tons of Thank You notes all the time. 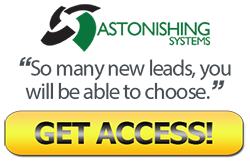 I can save you money by purchasing all cleaning products needed for your property maitanance from all major distributors at wholesale's discounts. The selections are virtually unlimited and you can shop at some of the areas largest showrooms. If you are reading this message chances are you are looking to choose your next commercial cleaning service. The options are endless. Infinite number of commercial cleaning companies on the internet. We know it's hard for you to choose one amongst so many. Well, let me present more reasons why Boston Quality Cleaning Services, Inc. should be the company that will earn your choice. "Common Mistakes Committed By Commercial Cleaning Companies"
Boston Quality Cleaning Services, Inc. is a fully insured (liability + works comp) company. We know from experience how important it is for any serious company to be protected with insurance. Jean Carlo, one of the owners of Boston Quality Cleaning has an interesting story to tell about insurance. Back a few years ago Jean was working as an employee for a commercial cleaning company in the Boston Area. He witnessed an employee of that company (which we prefer to keep nameless), to drop a fair amount of Chlorine on the carpet of a famous restaurant. That left a big white stain on the floor which could not be removed. Without the insurance coverage from that cleaning company, the restaurant would be in financial trouble. When choosing a commercial cleaning company one of the most important things to look for is experience and detail orientation. Why? Because the "look" of offices reflect on the performance of their employees. A neatly detail cleaned office will send a message to the employee that the company does care about cleanliness. A clean office will also project an image of success to other companies. Companies like to do business with successful companies. Remember the saying in business: "like attracts like". After several years cleaning commercially, we became very detail oriented. We know that we need only one complaint from one employee from an entire 100-employee company to ruin our reputation. We take no chances. Clean for us means absence of dirt, including dust, stains, bad smells and so forth. Boston Quality Cleaning Services, Inc. has been servicing the greater Boston region with the best services in Commercial Cleaning since 2001. 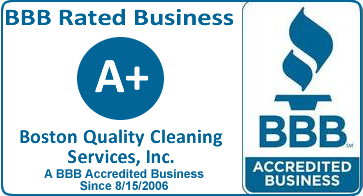 Boston Quality Cleaning Services, Inc.. is a family owned business specialized in commercial cleaning. It's a name you can trust to serve you in your commercial properties. "Overall a vey good job. Very high quality. Their team member are very clean and courteous. And no problems whatsoever." You can get in touch with me (Jean Carlo- owner) by tool free, direct line, email, fax, you name it. I'll be available 7 days a week. Baston Quality complete the work itself. Other tile companies will send the lowest price subcontractor to your home to do the work..
On my Blog you can understand better what this business is all about. Tons of Tips and Secretes for you are there. Copyright © 2001-2013 Boston Quality Cleaning, Inc.